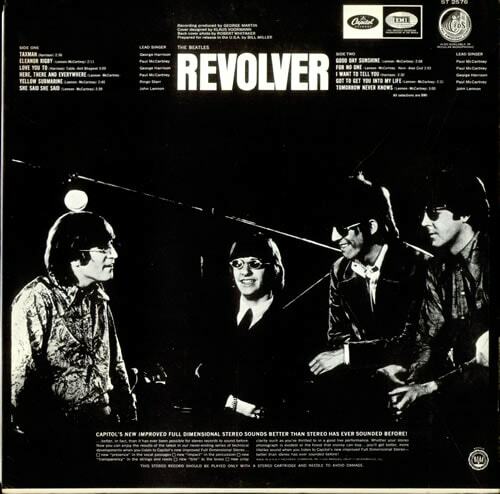 During my elementary school years in the late ’70s, my favorite album to listen to was Revolver by the Beatles. My dad had the LP, and I used to spend hours lying on the living room floor listening to the songs while looking at the amazing (and fun) cover art. But the photo on the back of it was even more cool to me. I love that photo of the sunglasses-wearing Beatles! I wish I had a recording of my dad’s original album; the scratches on that old vinyl when Taxman started will always be etched in my mind.